First response agency in crisis situations, domestic violence advice and investigation, referral to other Government and Non Government support services. Office hours: Monday to Friday 8am - 4pm. On call 24 hours, 7 days a week. Information Centre - Council Customer Service – rate payments, dog registrations etc. Computer Centre - computers for public internet and email access. Photocopying, printing, scanning and faxing (charges apply). Historical Museum – opened also on Saturdays by volunteers 9am- 3pm. Centrelink Rural & Remote Centre access. The Banana Shire Library is open Tuesday & Thursday 1 - 6pm, Saturdays 9am - 12 noon. Services include: Consumer Affairs; Family Services; Freedom of Information Applications; Housing; Public Trustee; Queensland Transport; and Compulsory Third Party Insurances. Services include: Electronic Banking, passport interview, and post office boxes. Open Monday to Friday 9.00am - 5pm. 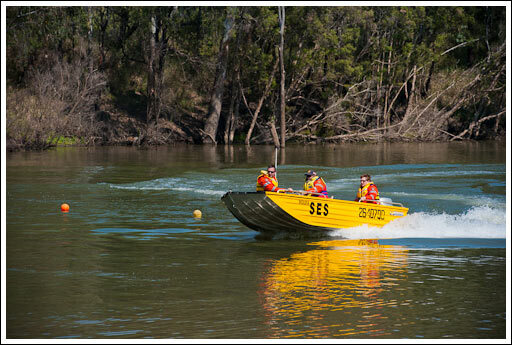 SES train every Monday night except public and school holidays 7.30pm - 9.30pm. Cadet program 5pm - 7pm.